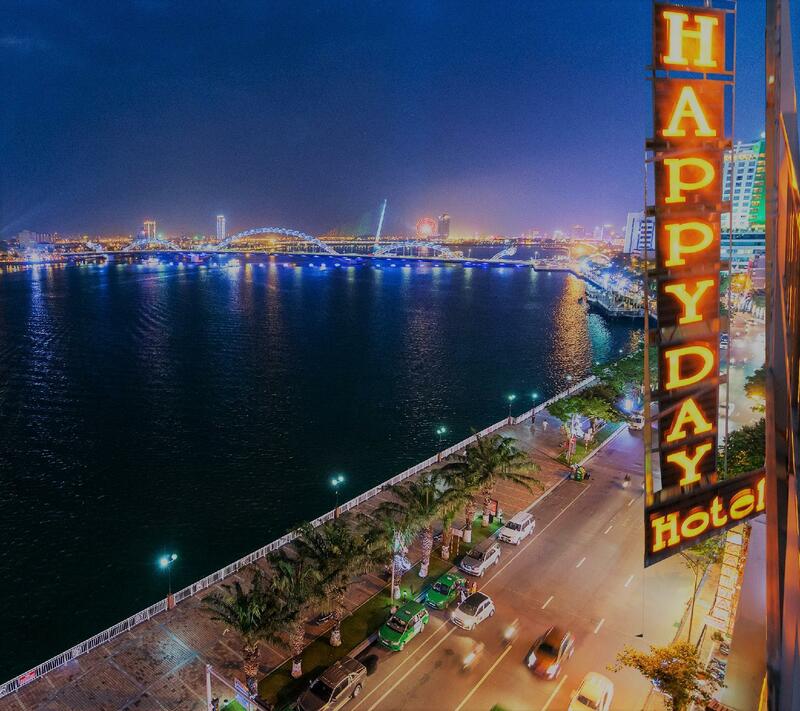 Have a question for Happy Day Hotel Da Nang? 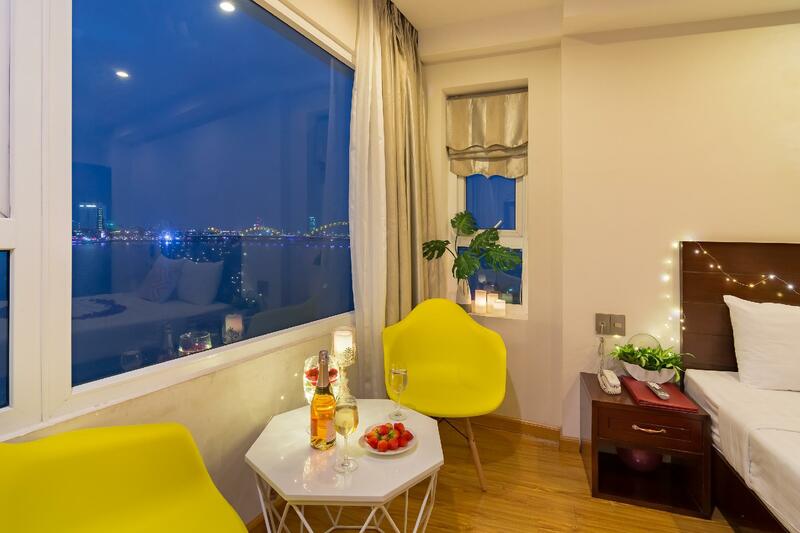 "Very friendly staffs, clean & spacious Triple Room with balcony overlooking Han River & Dragon Bridge." "View from room was really nice, staff was quite accommodating." "Vincom Mall is walking distance from hotel with many eateries nearby." 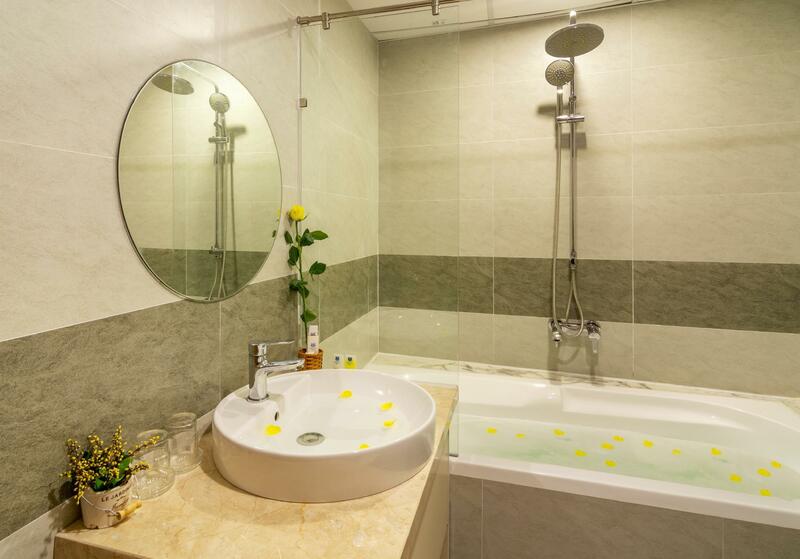 Ideal for fun and relaxation, Happy Day Hotel Da Nang is located in the Hai Chau area of Da Nang. Set 0.00 km from the excitement of the city, this 2.5-star hotel commands an excellent location and provides access to the city's biggest attractions. This modern hotel is in the vicinity of popular city attractions such as Han Local Market, Han Market, Chicken Church. 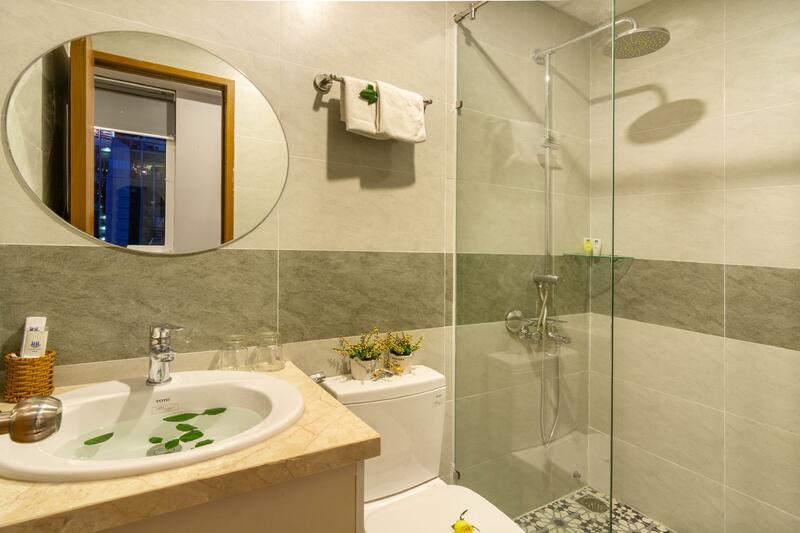 The facilities and services provided by Happy Day Hotel Da Nang ensure a pleasant stay for guests. The hotel offers access to a vast array of services, including free Wi-Fi in all rooms, 24-hour security, daily housekeeping, laundromat, postal service. All guest accommodations feature thoughtful amenities to ensure an unparalleled sense of comfort. Besides, the hotel's host of recreational offerings ensures you have plenty to do during your stay. Whatever your purpose of visit, Happy Day Hotel Da Nang is an excellent choice for your stay in Da Nang. First time in da nang and thank God I booked this hotel! All the staff were helpful and friendly! Room was awesome since I got a free UPGRADE! I booked the deluxe river view room but they were full so lucky me! Despite the upgraded room was smaller than the one I initially booked, the view was simply amazing since it comes with a shared balcony! Will consider this hotel again whenever I’m in da nang! Only the matress was hard. Others are ok.
Dear our valued guest, Warmest greeting from Happy Day Hotel Da Nang. Thank you very much for your stay with us and also for taking valuable time writing a review on Agoda. Happy Day Hotel is located on the most beautiful main road of Da Nang city, so it is more convenient to visit tourist places and enjoy local food, bar, coffee, the restaurant near our hotel. With dynamic and enthusiastic staff, we are trying to bring guests a perfect service during their stay at the hotel day by day. Hope to see you again at Happy Day Hotel Da Nang. Thanks and best regards. Thien Trang - Customer Care. I booked Happy Day Hotel simply for the location. 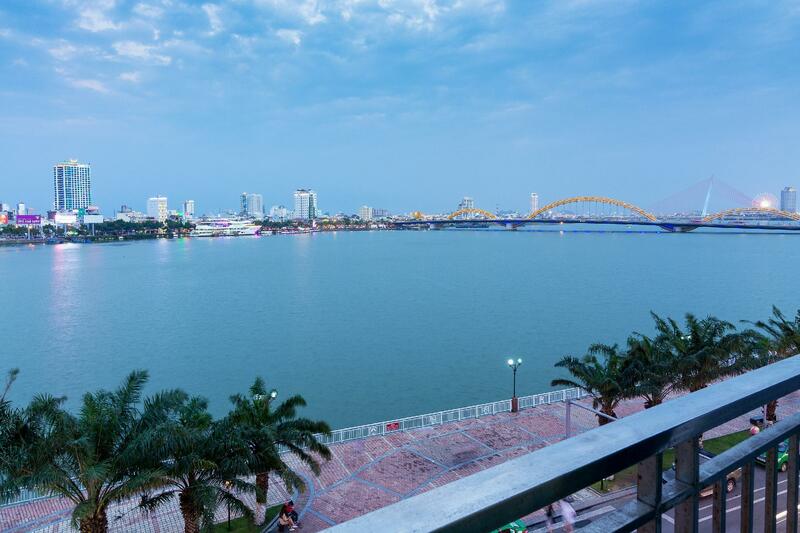 It is located in the heart of Da Nang’s city centre, within minutes walk from top restaurants on TripAdvisor and a 5 minute walk from Han Market. It is a recover front hotel and you are able to see the Dragon Bridge from outside the hotel. The room itself was very simple. Had what a budget 2 star hotel would need. Doors on both front and bathroom were old and made a lot of creaky noises and were hard to shut. They were wooden and very outdated. The AC wasn’t cold enough. Staff and security were friendly and accommodating and let me check in at 8am luckily. Unfortunately the pictures on Agoda did not reflect the room, specifically the bathroom where the photos showed a glass window to separate the shower from toilet. This was not the case as the shower and toilet shared an open area. Dear our valued guests, Warmest greeting from Happy Day Hotel Da Nang. Thank you very much for your stay with us and also for taking valuable time writing a review on Agoda. 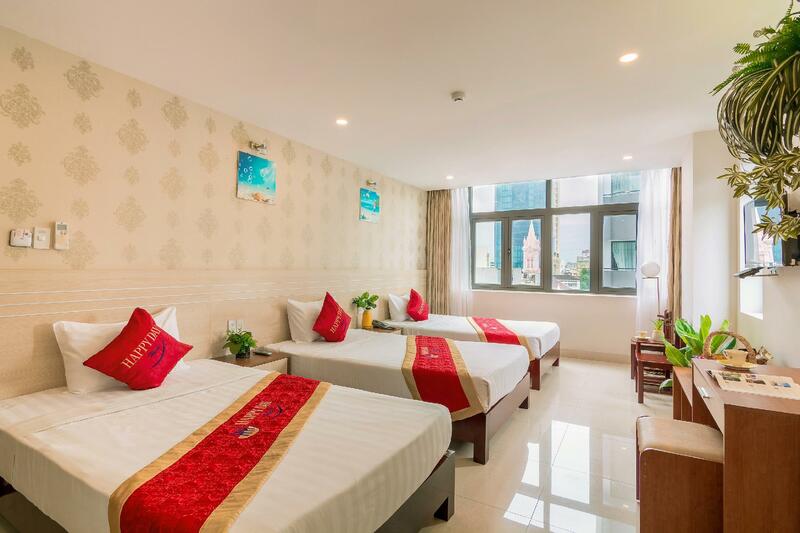 Happy Day Hotel is located on the most beautiful main road of Da Nang city, so it is more convenient to visit tourist places and enjoy local food, bar, coffee, restaurant nearby our hotel. With dynamic and enthusiastic staff, we are trying to bring guests a perfect service during their stay at hotel day by day. Hope to see you again at Happy Day Hotel Da Nang. Thanks and best regards. Thien Trang - Customer Care. View from room nice, facing Han River. Location convenient amd around has many choice of restaurant. Facing Han River room a bit noisy due to facing main road. When grab car at hotel to Da Nang Airport, all grab driver rejected booking. The location the in the center that you can walk for outing anywhere in Danang city center. Staffs are helpful and kind. The few thing I will give it as Fair is the mattress is too hard and not the breakfast is not good enough compare to other nearby hotel in the same price. Dear our valued guest, On behalf of the staff, I do thank you for your best review on Agoda.com. It is motivation and encourages us to try harder and bring the best services to the customer. Besides, we are also sorry about your unsatisfaction relating to our bed, we will try our best to upgrade our facilities better. Hope to see you soon in our hotel. Thanks and best regards, Thien Trang- Customer Care. The front staff are friendly and try to be helpful, however their English is not brilliant. I booked a standard double, but this has no window and was musty smelling. I had to upgrade (400000 VDN p/night) to a river view double on 3rd floor. I stayed 1 more night and was moved to a triple room with river view - this room was definitely better and had a balcony (also 3rd floor). Windows are dodgy and hotel is pretty old indesign. The showers are hot and powerful but leak all over the bathroom. Breakfast is 50000 per day + is not worth it! It was really poor. There are lots of places nearby to eat. It felt like staff were trying to make money at any opportunity. I booked onto two tours to Ba Na hills and Hoi An. One guide’s English was poor. The other’s okay. It was predominantly Vietnamese people on the tour. Lunch/dinner included in the price though which was good + lots of food. I asked to book in to the spa + was told on the day it was so double price with no advertising of this. Dear our valued guest, On be half of staff, I so thank you for your best review on Agoda. It is motivation and encourage to us to try harder and bring the best services to customer. HAPPY DAY HOTEL is a good choice to stay in Da Nang. Not only we bring to guests the quality rooms but we aslo have the best spa experience at our own hotel. Hope to see you soon in Happyday Hotel & Spa. Thanks and best regards, Thien Trang - Customer Care. Dear our valued guest, On be half of staff, I so thank you for your best review on Agoda. It is motivation and encourage to us to try harder and bring the best services to customer. 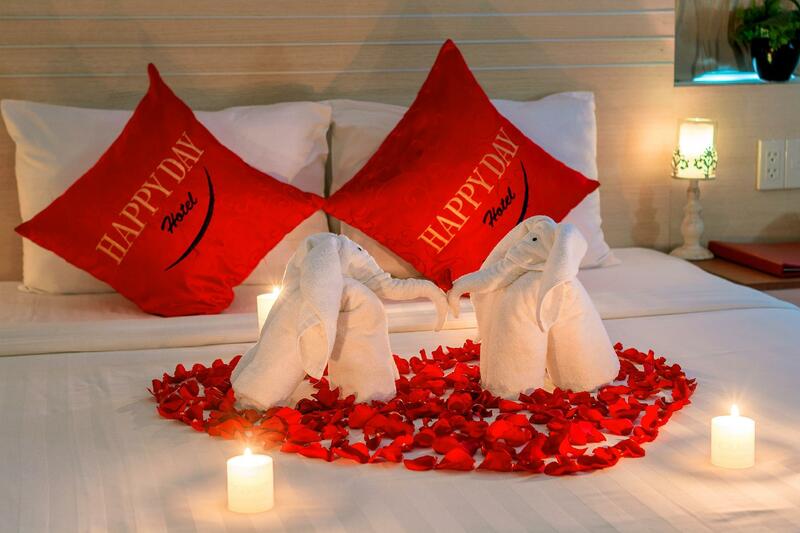 HAPPY DAY HOTEL is a good choice to stay in Da Nang. Hope to see you soon in our hotel. Thanks and best regards, Thiên Trang - Customer Care. Location really good if you want to see dragon bridge and has lots of restaurants close by. Han Market is also close by as well. View from room was really nice, staff was quite accommodating. Only con would be the shower and lack of amenities. It is only suitable for Korean & Vietnamese, the hotel is nicely located in front of river. The breakfast is horrible, I was waited 30 Minutes after ordering and they did not served to me, finally I have to purchase from out side. The Remote of TV was not working. Bed sheets and towels very old and not cleaned. it is like made house, defiantly not suitable for unopen people, Go for Brilliant hotel or Centre hotels which closed to Happy Day hotel. Definitely will never book this hotel again. Only good thing is Reception girls are very kind and cooperatives. Dear our valued guets, Warmest greeting from Happy Day Hotel Danang. Thank you for choosing Happy Day Hotel Danang for your trip and taking valuable time to leave the comment at Agoda.com. It is always a pleasure to receive the positive feedback about our location as well as our staffs. We are sure that this feedback will serve as an encouragement to all of our staff as we strive to continuously improve the quality of our services. We are also sorry for your dissatisfaction about the breakfast, our hotel very grateful about your contribution, we will improve the quality of food in the future. We are looking forward to seeing you again in our hotel in the next time. Best Regards Thien Trang- Customer Care. The location is good, the price is fine. It was clean and the shower worked good. We got the room without windows though, so the air was pretty bad and we could barely stay in the room. However, we only used the room for shower and to store luggage didn't even stay the night. If you want to stay the night make sure to get room with window. Staying two nights at this hotel.. Very good location. Friendly staff. We booked Ba Na Hills open tour and very satisfied. It was my birthday during the tour day and when I went back to the room, they set me a very beautiful decoration, full of roses, in the room. Breakfast okay. Clean room and bathroom. Comfortable bed. Dear our valued guest, Warmest greeting from Happy Day Hotel Da Nang. Thank you very much for your stay with us and also for taking valuable time writing a review on Agoda. 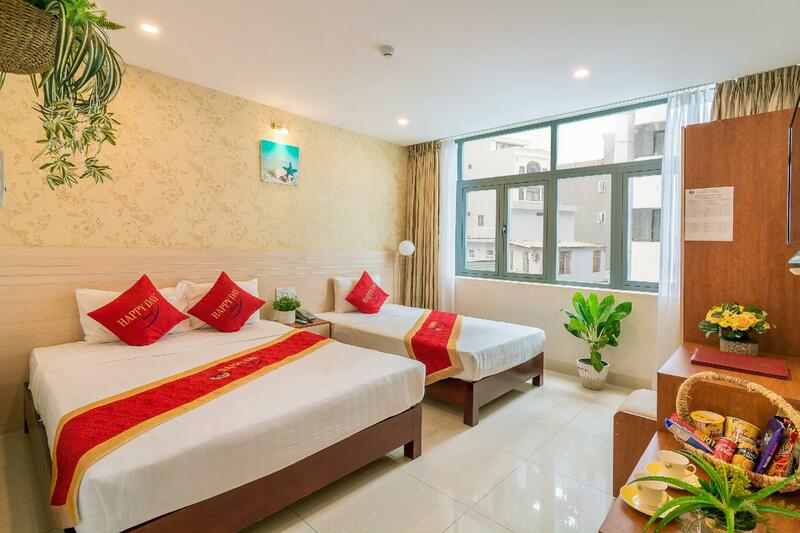 Happy Day Hotel is located on the most beautiful main road of Da Nang city, so it is more convenient to visit tourist places and enjoy local food, bar, coffee, restaurant nearby our hotel. With dynamic and enthusiastic staff, we are trying to bring guests a perfect service during their stay at hotel day by day. Hope to see you again at Happy Day Hotel Da Nang. Thanks and best regards. Ngoc Han - Customer Care. Really good hotel with helpful and friendly staff. They even invited me to join them for a beer and some food outside the hotel one evening when I was back late. A good location too for the bars and restaurants of Danang. Had a small standard double room with no window, but it was fine for what we wanted - just a place to sleep for a couple of nights in Da Nang. Hotel reception staff were very friendly and helpful when we had problems checking in due to Agoda failing to complete our booking. Location is good, along the riverside, close to the bars and restaurants, and the dragon bridge. Booked 3 rooms for our last night in Da Nang. Great location and friendly staff. Downside was the air-conditioner in our rooms (all room) were dated and not functioning well......the air outside our hotel is much cooler than our room even we switched on the fan. Also, no electricity in one of our room in the middle of the night.